Restricted categories is a module which allows to mark some categories as … restricted. Seting category as restricted forbids to post Ads into that category when using [adverts_add] shortcode. Most common use case would be disabling possibility to add ads into root categories. In order to restrict new category go to wp-admin / Classifieds / Categories panel and check “Restict” checkbox in “Add New Category” form. 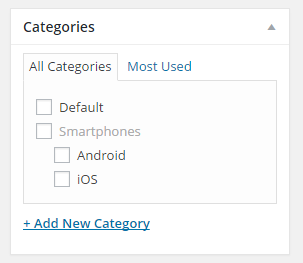 If you want to restict existing category go to wp-admin / Classifieds / Categories panel and click “Edit” next to name of category that you want to set as restricted. In new window just select “Restircted” checkbox, then click “Update” button. On categories list you can easly see which category is restricted. Last column (with padlock header) represents which category is restricted by tick symbol. 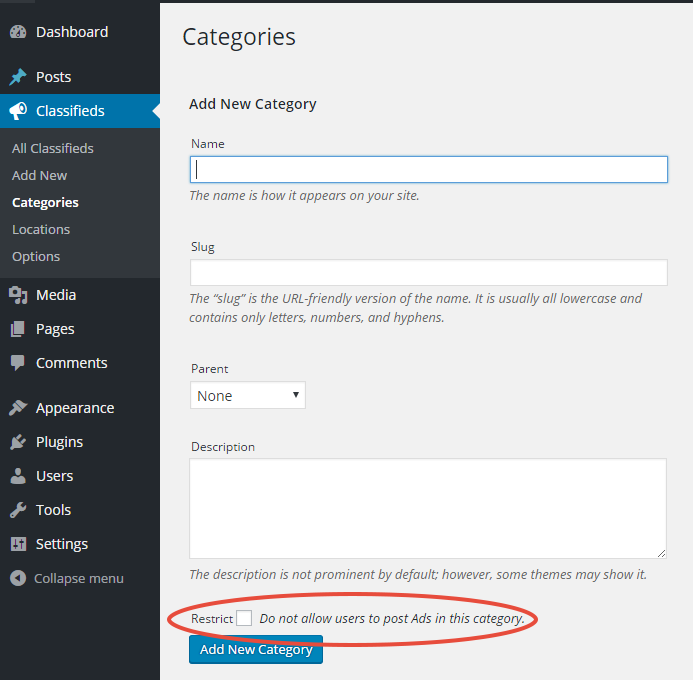 When you add new classified ad from wp-admin you can put Ads into restricted category (you are admin, you can do whatever you want), but restricted categories are displayed in categories list with a different font color, just to let you know the category is restricted. 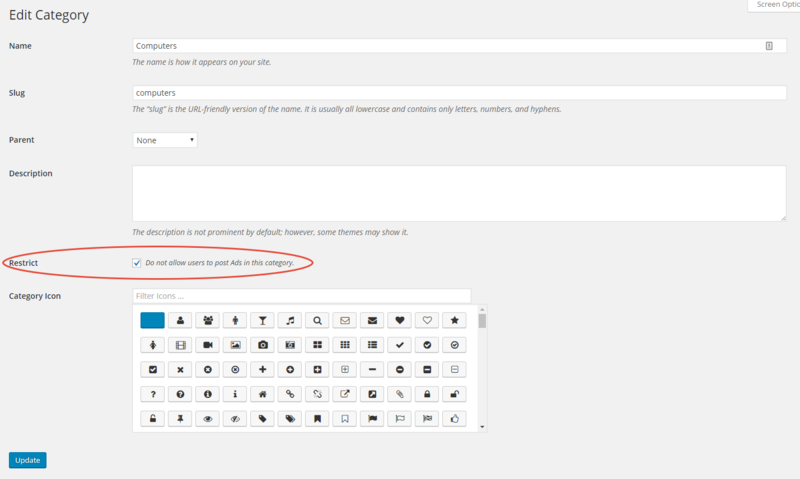 In fronted restricted category is also makred by gray font color, but restricted option is disabled, and user who is posting an Ad cannot select it.